386 pages | 200 B/W Illus. 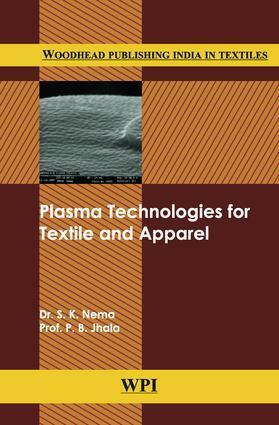 Plasma Technologies for Textile Apparel details plasma based technologies in textile industries. It disseminates knowledge gained over the years by Indian Institutes and organizations in the arena of plasma based applications for textiles. The book describes basics of low temperature plasma production in vacuum as well as at atmospheric pressure and various applications of plasma in textile particularly in Indian context.